Pacific Stories is a series of short term community film projects started in 2010 and produced by Amie Batalibasi and Lia Pa’apa’a. Pacific Stories aims to create links with Aboriginal communities in Australia and to give Pacific Islanders living in Australia a platform to explore identity and culture through film and an opportunity to share these stories with the broader community. 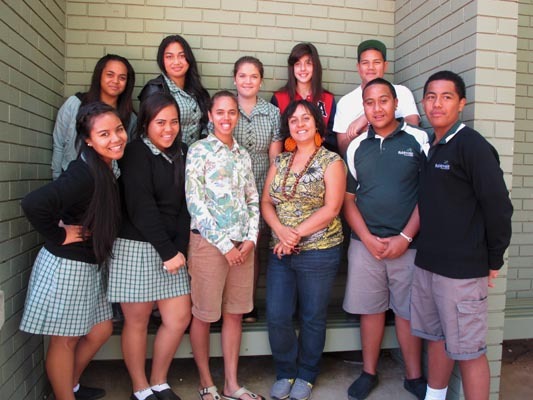 For 2012, we were successful in securing funding from Regional Arts Victoria to expand on the Pacific Stories concept and work with a group of young people from Indigenous and Pacific Islander backgrounds in Robinvale Victoria to produce two short films. This project was called Pacific Stories – Harmony on the Murray. Through workshops we covered storytelling, culture and identity and film as the medium explore these concepts. The project culminated in a public screening of two films “Cultural Spirtuality” and “Bright Stars” in Robinvale in June 2012. It was night of fun, film and entertainment from the Pacific Islander and Aboriginal community in Robinvale. A DVD has been produced and will be available soon. The project was supported by Robinvale Neighbourhood House & Robinvale High School and have support from Swan Hill City Council. Pacific Stories 2011 consisted of a series of discussions, storytelling and filmmaking workshops held in Melbourne from Dec 2010 through to June 2011. Each participant was supported to develop and produce a short film exploring their own Pacific Islander identity and culture. The project was facilitated by documentary filmmaker and media trainer Amie Batalibasi and community arts and education practitioner Lia Pa’apa’a. The target group was Pacific Islanders living in Melbourne. In particular, we extended a special invitation to people of Melanesian (including PNG, West Papua, Solomon Islands, Fiji, Vanauatu, New Caledonia to name a few) ancestry as we believe that their current political, environmental and social situation requires particular attention. Participants benefited by learning and exploring their past and marrying their traditional knowledge with modern digital mediums to find a empowering medium that allows for culturally appropriate and rich dialogue and storytelling. The project culminated in a Pasifika community screening in Melbourne with over 220 people in attendance. A Pacific Stories DVD was also produced. 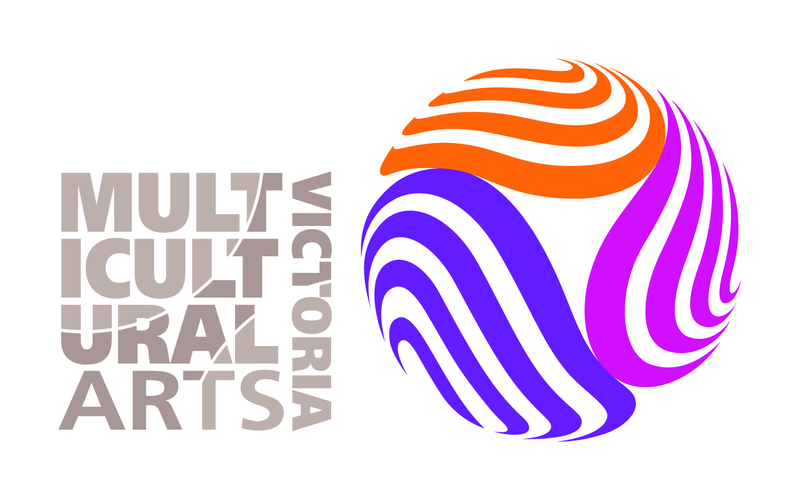 Pacific Stories 2011 was supported by the Australia Council for the Arts and auspiced by Multicultural Arts Victoria. Victoria University Moondalli Bullak Indigenous Unit has provided in-kind support of facilities. Footscray Community Arts Centre supported us by hosting our Premiere Screening. 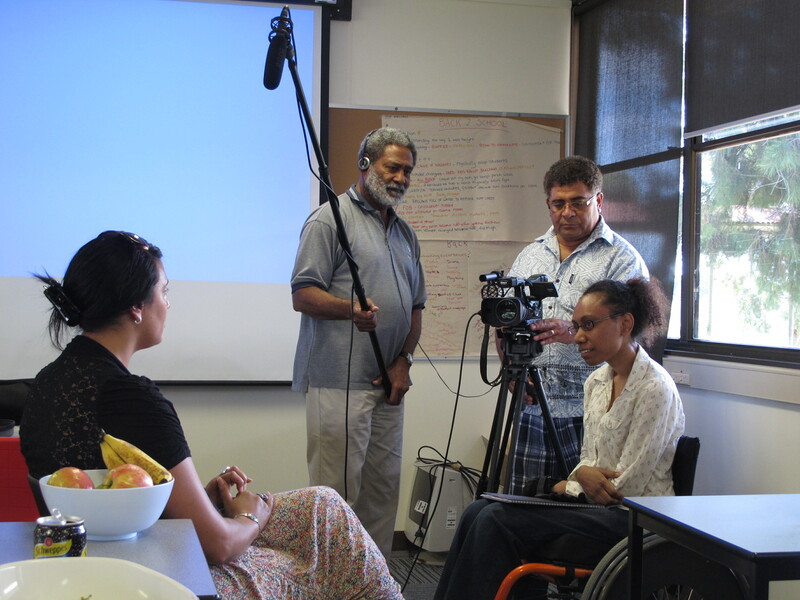 A Pacific Stories film crew: L-R: Venina, Aisea, Simi and Pauline. An interview in progress. Hello, I just saw this special projecjt and am excited to be part of it. I am from Fiji and am here in Melbourne for the last 4 years. I am a victim of the military coup in Fiji and had been thinking of telling my side of the story as a means of record to the future generations especially if it could facilitate better understanding of our dilemnas confronting our Melanesian people . Looking forward to hear from you søon. Thanks like a very noble thing to do Simione – and very important! Wishing you All a Very Happy and Fruitful New Year!.